An inside look at how the regime drained Iran of one of its most important resources. The Persian Empire was one of the greatest empires in history, but its achievements were not only in the military sphere. Like Rome with its famous aqueducts, Persia’s water management skills were legendary. By building irrigation tunnels called qanats across its vast territories, it succeeded in maintaining settlements in remote and arid places, making them bloom into agricultural strongholds. These skills were taught to ancient engineers beyond the empire’s borders, and some qanats in China and Spain are still functioning to this day. Though ancient Iranians invented qanats, today’s Iranian leaders have caused the unhealthiest water conditions in the country’s long history. Tragically, this now threatens the very foundations of Iran itself. Iranians learned about and sought to implement administrative and industrial reforms in the mid-1800s based on the European model. These reforms were led by Prime Minister Amir Kabir, a gifted administrator. He was not considered a religious hardliner and tried to make sustainable changes that would build a bridge between traditional Iran and modern Western methods. But his political skills were limited, and his rivals convinced the king to get rid of him. He was killed in a bathhouse on January 10, 1852. He later became a hero to Iranian technocrats, and a dam built near Tehran in 1961 was named after him. The next major attempt at reform took place in 1963. Under the so-called White Revolution land reform initiative led by Iranian leader Mohammad Reza Shah Pahlavi, major landlords lost a great deal of their properties and money. One major problem that arose as a result was the question of how to distribute water among new landowners. Traditionally, a stream of water flowing from a qanat was directed to different farms according to their size, with the water distribution handled by respected managers called Mirabs. The Mirab checked his water clock frequently in order to give a fair share to each landlord. As a result, groundwater was never over-extracted from the country’s many aquifers. Slowly, however, the Mirabs were pushed out by new technologies. Many new landowners were permitted to dig wells and install diesel or electric water pumps. Though there were limitations to the number of wells, the new landowners were looking for more profit, and more water meant more money, ending the Mirab system of equitable distribution. After the revolution that toppled the Shah, farmers were suddenly free to do essentially whatever they wanted, and anything standing in their way was considered anti-revolutionary. Worse still was a new organization called Jihad-e Sazandegi, or the “Construction Jihad,” staffed by young activists and engineers who wanted to serve the farmers and peasants, but had no experience in irrigation and agronomy and no clue about sustainable development. During the Iran-Iraq War, Bijan Namdar Zanganeh, a young revolutionary civil engineer who became one of future president Akbar Hashemi Rafsanjani’s confidants, ran the Ministry of Jihad. Under Zanganeh, one expression of jihad was assisting farmers in rural regions. The ministry built several earth dams, with one of them breaking in 1987, killing 300 people in northern Tehran. Rafsanjani would prove to be one of the most important figures in the new, reckless water policies. Indeed, he saw himself as the heir to Amir Kabir, writing a biography of his hero, who he clearly saw as a kind of alter ego. 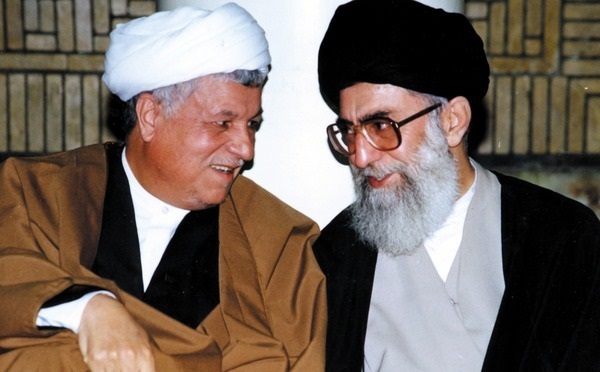 Unlike Kabir, however, Rafsanjani proved to be a formidable political strategist. In 1989, after abolishing the post of prime minister under a revamped constitution, Rafsanjani won the presidency and became the man in charge of rebuilding the country after the war. Rafsanjani’s nominee for Minister of Energy was Zanganeh, who had not been held accountable for the dam disaster in 1987. Zanganeh had a very good relationship with the Ayatollah’s private army, the Islamic Revolutionary Guards Corps (IRGC), and Rafsanjani encouraged the IRGC to join forces with his government to rebuild the nation. Not surprisingly, the IRGC’s construction arm, Khatam-Al Anbia, suddenly became the major winners of tenders and bids to build dams. This construction boom was spurred by consulting firms, politicians, and parliamentary candidates who saw large infrastructure projects as a way to consolidate their political support. The bigger the dam, the longer they would hold office. Often, their proposals verged on madness. This became a vicious cycle: Rafsanjani loved to have his picture taken at the site of major construction products, and Zanganeh was well aware of this fetish. He also had to feed the IRGC, while consulting firms had to keep proposing new dams to stay in business and politicians needed them to advance their careers. This cycle of corruption had predictable results: project managers rarely had the dams built on time, since the longer construction took, the more money the firms received. This also drove up costs, which filled the coffers of the IRGC and kept politicians in power, but resulted in ruinously expensive projects that produced few results. There was another project that began to consume more and more of Iran’s limited water resources: the nuclear program. While Rafsanjani was building useless dams and letting farmers drain the aquifers around the country, he was also trying to produce as much heavy water as possible. The situation was slowly becoming untenable, but due to the political and financial interests involved, no one was interested in changing it. All of this misuse of water resources begs the question: What has the Iranian regime left for future generations? The answer to this question is: very little. The Islamic Republic has literally killed a large number of aquifers and alluvial plains, and blocked the rivers that fed these aquifers through its compulsive dam-building. After the 1979 revolution, a large number of farmers chose to dig secret wells, extracting water by night and concealing the wells during the day. Many inspectors either consciously ignored the excessive use of water or were bribed to do so. The government also knew that it had to quietly allow this illegal activity, because it had encouraged farmers to produce more crops. Rafsanjani wanted to show off the nation’s food independence to the leaders of neighboring countries. It sounded very revolutionary to many, especially in a post-colonial era, and many allies of the regime applauded the president. In the final years of Rafsanjani’s presidency, a number of experts became alarmed by the regime’s outmoded water management skills. One of them was a watershed management expert who believed in artificially recharging aquifers using seasonal floodwater. His study showed that if the government invested in floodwater dispersed on alluvial plains around the country, it could bank billions of cubic meters of water for generations to come. But the idea met with considerable institutional resistance. This is where my part in the story begins. The inability to get the expert’s project off the ground aroused my curiosity, because I couldn’t believe a cheap and proven solution for Iran’s water needs was being ignored by those in power. I was particularly interested because I knew the expert involved—he is my father. My father was one of Iran’s top watershed management researchers. As a result, I grew up in the field and was able to dig canals, operating an old D-6 Caterpillar to help stop a flood when I was just 10 years old. During my childhood, we left Tehran to live in a rural area near my father’s pilot project in Fars province. Through that research project, villagers learned that by controlling and reducing the speed of floodwater and spreading it over an alluvial plain, water would gradually recharge the aquifer below. The project worked and a few young researchers and bulldozer operators created a boon for a group of poor farmers. In 1983, my father’s group moved to an arid zone in eastern Fars. Working under the sun wasn’t a treat, but it gave me firsthand experience of the hardships faced by farmers in that area. In the early ‘80s, many farmers had nothing but small pieces of land, and a number of them worked in Dubai and Abu Dhabi as laborers to support their families in times of drought. By 1986, the floodwater-spreading project was transforming the area, and dry wells were showing signs of life. Some of the farmers had cancelled their plans to work elsewhere, and a few actually got rich from selling melons, watermelons, and cantaloupes after the aquifer was recharged. We saw increased migration into the area. I soon began studying geology at the University of Tehran, but my career took a strange turn. Due to my talent for mocking professors and drawing caricatures of veteran geologists, Iran’s top satirical magazine hired me in 1991. My background in science never left me, however. While I was learning the ins and outs of journalism, I started thinking more and more about how the government, and especially the Ministry of Energy, was ignoring the facts about artificial recharge of aquifers in favor of simply building more and more dams. During my graduate studies, I was the managing editor of a newsletter on rainwater catchment systems; as a result, I got closer and closer to government circles, interviewing ministers and high-ranking officials. I learned how to become an insider, and began to serve as a media advisor for different organizations. During this time, I avoided showcasing my skills as a geologist in the national media. But then I was imprisoned for six days in 2000 for publishing a cartoon that caused a national security crisis right before parliamentary elections, bringing me a great deal of fame. As a result, I decided to put my geological knowledge to work. Before the 2001 presidential elections, I started writing short essays criticizing the water management policies of President Mohammad Khatami’s administration. After my second piece was published, I got a call from Khatami’s chief of staff. He said the president wanted to meet the “geologist” writing the articles. The Islamic Republic has literally killed a large number of aquifers and alluvial plains, and blocked the rivers that fed these aquifers through its compulsive dam-building. I met with Khatami three days after the election. I was told that the meeting would last only 20 minutes, so I asked my father to join me in case I needed an expert to bolster my claims. My father tried to explain the problem in an academic tone, but I stopped him and explained what was going wrong in simple words. I told him about a number of dams that were never meant to be built, but had been constructed by his government anyway, gradually destroying the underlying basins and aquifers. I shared the evidence with him and he said that he understood what I had told him. There our conversation ended. After my meeting with the president, I published two other essays on the subject, but the editor of my newspaper, which was close to Khatami, blocked my fifth piece and I was banned from writing anything related to dams and water management. Four months later, the paper published a letter from one of the organizations run by the Ministry of Energy. They justified building dams around the country and expressed pride in their achievements. I wrote my own response, asking the ministry about the fate of aquifers and using alluvial soil to store water for future generations. I asserted that the ministry and powerful consultants and builders were ruining the country. I expected my response to be published the next day. To my dismay, the editor refused to publish and I resigned in protest. A year later, a former member of a firm connected to the Ministry of Energy told me, off the record, that the president had ordered the creation of a committee to evaluate my evidence and accusations, but had staffed it with close associates of the minister. In other words, Khatami had asked the accused officials to judge my accusations against them. In May 2003, I received a death threat from a group that claimed responsibility for the assassination of six writers and politicians in 1997. Though Khatami’s government was aware of this threat, nobody contacted me from the Ministry of the Interior. Several officials received death threats the very same week, and I learned that the Ministry of the Interior had taken some sort of action to secure those individuals. Apparently, I was the black sheep of the herd. I learned that I was being ignored because I had criticized the Ministry of Energy and its partners. The next month, after receiving a summons from a revolutionary court, I fled Iran. Living in exile since then, I have witnessed the deterioration of Iranian wetlands and aquifers from a distance. I am now producing a weekly program about water management for the network Andisheh TV to raise awareness of the crisis. Since my escape, one thing has clearly changed: officials are no longer silencing critics and have begun to acknowledge the dire situation. 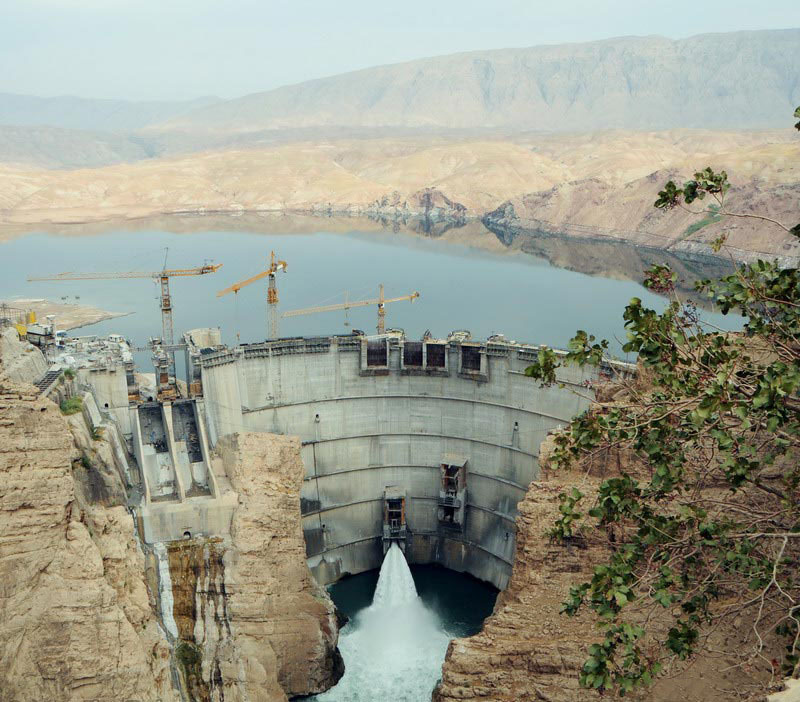 In 2013, the Rouhani administration’s Minister of Energy admitted that his ministry’s water management policies had been a disaster, stating that many dams had been built for the wrong reasons and Iran lacks renewable water resources. If the water consumption for agriculture remains at this level, in less than 25 years Iran’s eastern and southern areas will be completely deserted, and 50 million people will have to emigrate from the country. Today, leading experts consider Iran a “Water-Bankrupt Nation,” with “drying lakes, rivers and wetlands, declining groundwater levels, land subsidence, water quality degradation, soil erosion, desertification, and more frequent dust storms.” Researchers writing in the journal Iranian Studies gave various reasons for this, such as “rapid population growth,” “migration and urbanization,” “inadequate water distribution infrastructure,” “inefficient agriculture,” “the dream of self-sufficiency in food,” “dams,” “deep wells,” and “drought.” I would add another reason: the existence of a non-accountable regime that does not care about natural resources and the future of its people. The problem was that many of these people had never heard about a similar lake in the Soviet Union. In the early 1960s, the USSR decided to divert the water that flowed into the Aral Sea for irrigation purposes. 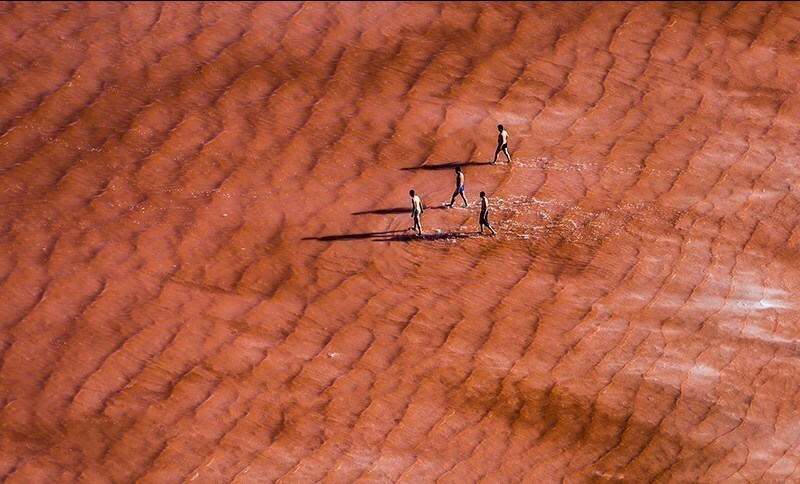 Within a few decades, shallow parts of the lake had mostly disappeared, and thousands of people living in the area fell victim to toxic dust, since the receding lake left a vast area covered with poisonous residue and salt. In the early 1990s, the few experts who were aware of the Aral Sea’s fate tried to stop the madness in Iran. Rafsanjani ignored the critics, and Zanganeh, his beloved Minister of Energy, started the bidding process to build several dozen reservoir dams around Lake Urmia. Farmers quickly noticed that the government was choosing to look the other way in regard to their water usage. Many started pumping more and more groundwater from the lake to irrigate their farms. Gradually, the water table fell and the lake began to shrink. It was only years later that the depth of the problem became clear. A mere ghost of the original lake remains, and toxic dust storms are a fact of life. Lake Urmia’s fate is being shared by much of Iran. The country’s main wetlands and lakes are swiftly drying up, and the regime has no one to blame but itself. Another serious problem is land subsidence, where the ground literally sinks. When water is extracted from the pores between the coarse-and medium-sized grains of an aquifer, the weight of the earth and soil above causes the land to collapse. This destroys the land’s ability to hold water, turning the entire area into a desert. Today, major cities and their suburbs are sinking. Based on official reports, parts of Tehran are collapsing by 36 centimeters (14 inches) per year. This may be one of the highest rates in the world. It means that structures like bridges and high-rise buildings are now more vulnerable to earthquakes. Just in the last few months, a number of sinkholes have appeared in Tehran, swallowing cars and buildings. One expert told me that, based on recent studies by geophysicists, there are more than 150 potential sinkholes lying beneath Iran’s capital. This is a major disaster waiting to happen. I could go on and on listing the major disasters created by the Iranian regime, but there must to be an end to both my article and the regime itself. Fortunately, ending my article is easier. But one thing did end just two months ago. On January 8, Akbar Rafsanjani died at a swimming pool and bathhouse complex in Tehran, almost exactly 165 years after Amir Kabir. Fate, it seems, has a very dark sense of humor.